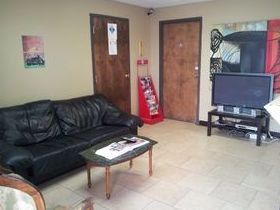 Car Guyz Collision & Dent Center we specialize in High Quality Auto-body repair & restoration. 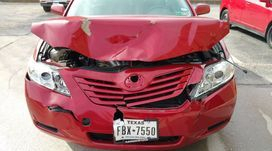 we work on everything ranging from major hard hit collisions to that very minor but pesky door ding. 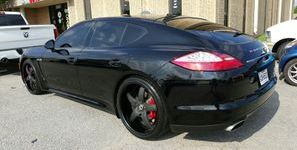 We work on all makes and models including Toyota, Lexus, Nissan , Ford , GM , BMW , Mercedes-Benz , VW, Porsche & Ferrari. 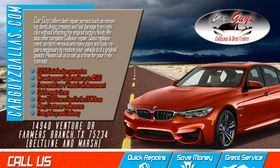 We work with and accept all insurance companies, We have long standing relationships with most major insurance companies and parts vendors to expedite the repair process on your vehicle. We duplicate original factory finishes using only best paint products available the market. All of our I-CAR GOLD trained technicians were selectively hired & hold extensive experience with all types of vehicles and all types of different repair methods. In most cases your rental car expenses will be covered by your insurance carrier, if you carry rental on your policy we will provide one for you for you, please call us and let us see what we can do for you. 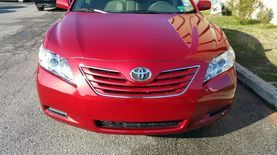 · Paintless dent repair is the process of removing dents, dings and hail damage from cars and trucks. Paintless dent repair covers small and large dents where the paint is unblemished, and it works well for cars that have been manufactured within the last 20 years due to their high-strength metals and resilient paints. Also, PDR can be used on cars with dents that are not near the edge of a panel, and on panels that have had no previous repair work completed. 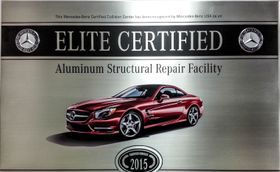 Our technicians utilize innovative tools to massage the metal back into place from underside of the dents. This repair process eliminates the need for paint and body filler. Through the use of PDR the vehicle maintains its factory finish. Painted areas match the existing paint, in color, texture and luster. Body panels are uniform, with even line around the door, hood and trunk. Your vehicle will drive as well as it did before the repair. 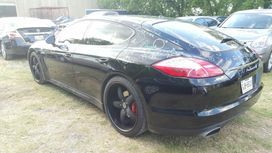 Restore a like new appearance to your vehicle. Every vehicle we repair we clean thoroughly remove any dust, dirt or over spray. 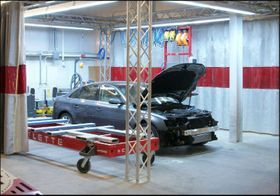 The labor performed by Car Guyz is guaranteed against any defect in workmanship for as long as you own your vehicle. 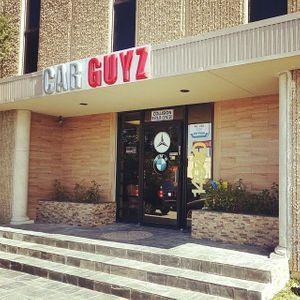 Car Guyz guarantees that for as long as you own your vehicle, Car Guyz will, at our expense, correct or repair all defects which are attributable to defective or faulty workmanship in the repairs stated on the repair invoice, unless caused by rust, or due to damage resulting from unreasonable use, improper maintenance, or care of the vehicle. Car Guyz guarantees your paint against primer adhesion problems, peeling, blistering and wrinkling, loss of gloss, or shine. Chips, rust, corrosion, nicks, or any road damage are not covered. Lacquer checking is also not covered unless paint is stripped. 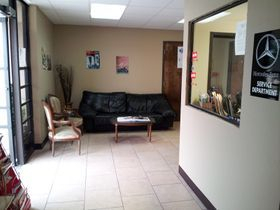 Call us today & setup your inspection appointment, When you drop your vehicle off at our location you can rest assured that we will handle your insurance company and keep you posted with any developments regarding you repairs. 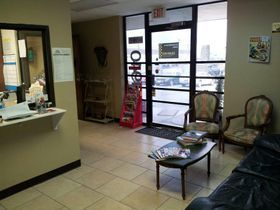 We can also provide a Free pickup & drop off from your home or office. 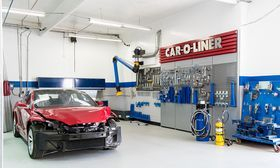 OUR GOAL : The experienced professionals here at Car Guyz Collision Center pride themselves in the precision quality of their craft regardless if they're repairing a minor ding or a major collision. Regardless of your situation, the combination of experienced certified auto body technicians, the most advanced repair equipment and a state of the art facility will provide your imported automobile the quality service your investment deserves. 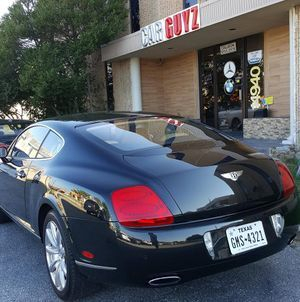 LOCATION : Car Guyz Auto & Collision is very centrally located in Farmers Branch , TX . 15 minutes from DFW airport , downtown Dallas or Frisco.